After you create your account, WindForce FIT helps you decide which lead magnets will attract your ideal leads. Target only the type of people who will appreciate what your gym has to offer. 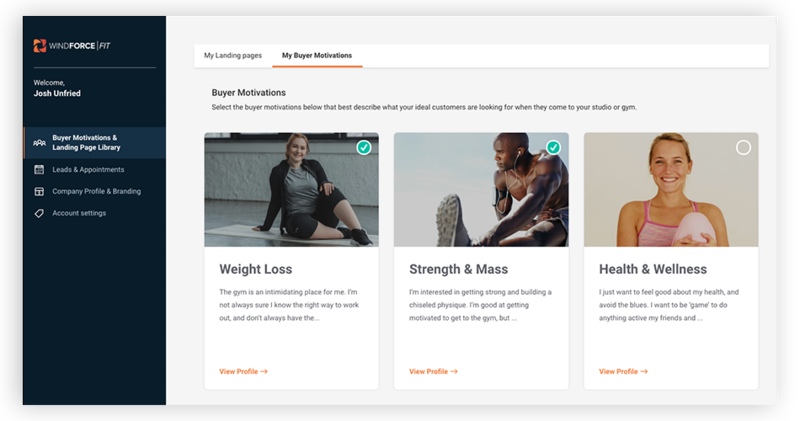 Next, upload your gym’s colors and logo, and check out a preview of your new lead magnet. Click a button and your new offer goes live! Each lead magnet is gated by a landing page optimized to collect lead information. 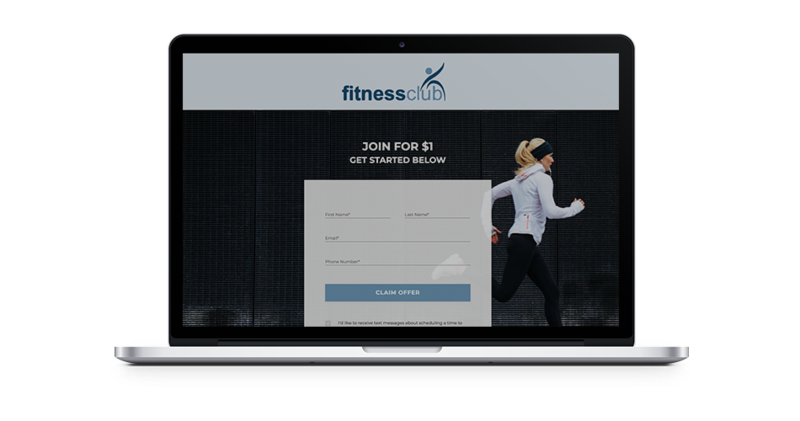 A visitor submits their information on the landing page in trade for access to the offer, generating a new lead for your gym. Your new offer is live, and ready to collect new leads. Promote your new landing page and watch the leads begin to appear. 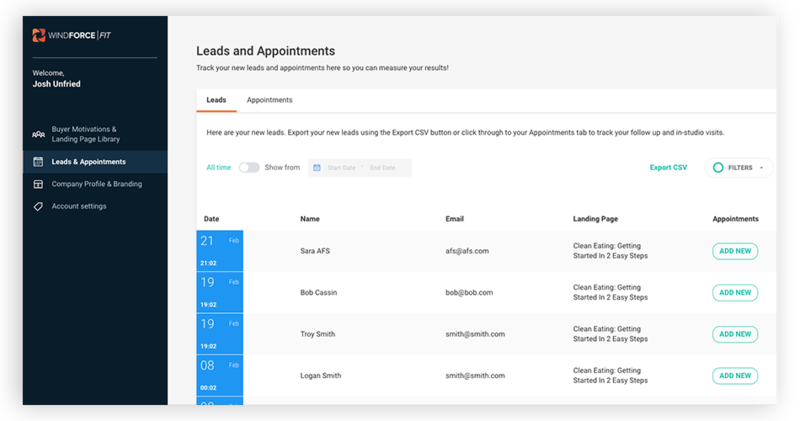 New leads appear in real time in WindForce FIT account, and you’ll receive an alert via email so you can act quickly to book new sales appointments.